Meng Tong of UA enjoyed the opportunity of a lifetime when she was offered a trip this summer to visit Dunhuang, China to research the Mogao Caves. Art history graduate student Meng Tong visited caves in China to further her study of art pertaining to the Bodhisattva Guan-Yin, the patron of travelers in the Buddhist pantheon. In addition to the murals, the cave system contains in other sections various sculptures and reliefs. A “library cave” has also been discovered, the manuscripts within it dating back to the fifth century. The Mogao Caves are the best known of the Chinese Buddhist grottoes, originally built around 500 AD as temples for Buddhist pilgrims traveling along the Silk Road, a historic trade route connecting Europe and Asia. Now scholars and researchers from across the globe make a modern pilgrimage to study the academic and cultural treasures found at the site. 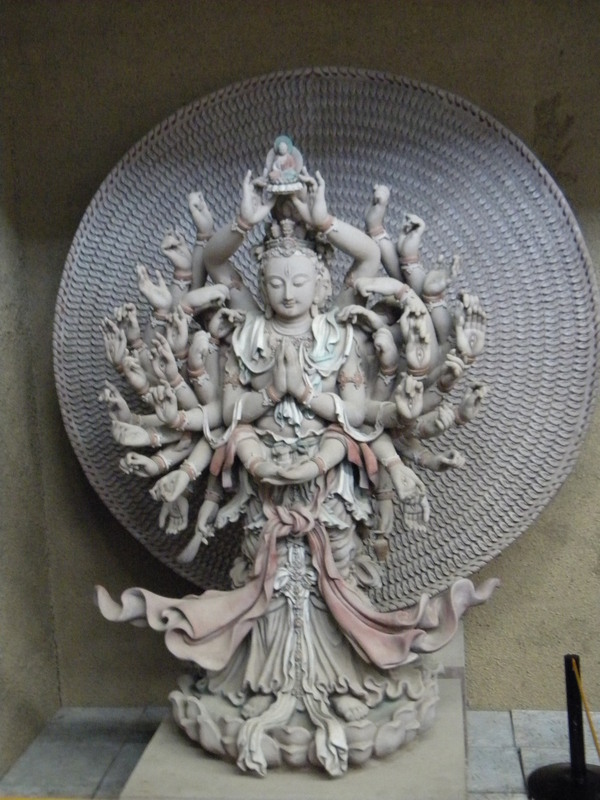 Tong’s research focused on the art including the Bodhisattva Guan-Yin, appropriately known as the patron of travelers in the Buddhist pantheon. Tong’s journey was funded in part by the Research and Travel Fund of the UA Graduate School, Capstone International, and the Department of Art and Art History.